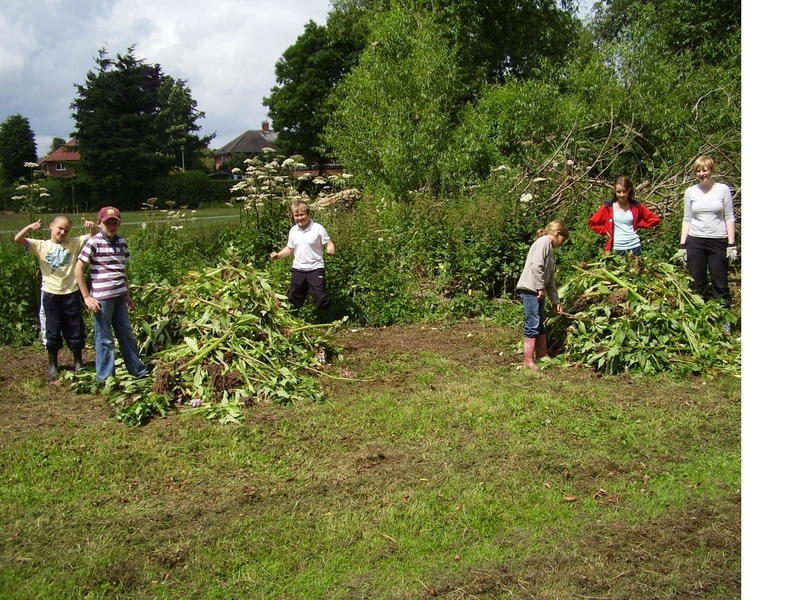 Just before the summer holidays started, pupils in Year 6 at Leighton Primary school in Crewe visited Nantwich Riverside for two days of river studies. Staff from Crewe & Nantwich Borough Council, Natural England, Nantwich Museum and the Mersey Basin Campaign led activities including Willow Weaving, pond dipping, Balsam Bashing, soil sampling, and a walk around Nantwich to see how the river Weaver has been so important to the history of the town. 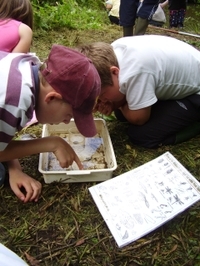 The days were a great opportunity for the children to put what they'd learnt about rivers into practice outdoors, and their teacher Mark Preston added that "It has also shown our Year 6's how what they learn at school can lead to environmental careers in adult life and hopefully inspired many to consider these possibilities when at high school and upwards."